I’m blogging from the passenger seat of our F-350 Dually on the way home from the coast so I’ll make this a quick post. Of course I got it everywhere. I’ve recently jumped on the microfiber cloth bandwagon and if you haven’t yet, you definitely need to get on this ride! The trick to making these cloths work at their best is to use them when they are damp…not totally wet and they don’t work at all when they’re dry. I used the microfiber cloth that is designed for screens on tablets or televisions, (it has a very smooth surface), because I figured that the ones that have the little loops on them like a washcloth would make the minky fiber embed in the loops. I got the cloth damp and then proceeded to wipe around and collect every bit of the minky that had shed all over my cutting mat, the table, and the floor. The shreds stuck to it like glue. Then I took it outside, gave it one shake and viola’! It was perfectly clean and all the minky was gone! I love the other types of microfiber cloths for every other type of cleaning too but for minky the smooth one is the way to go. I’m in a Block of the Month (BOM) put on by #LoneStarQuiltWorks and it’s a gorgeous Nancy Rink pattern called Getting To Know Hue. In addition to designing the pattern, she also designed the fabrics. All colors have the same hue and the same dots and weave prints even though they are all different colors. April’s BOM is Getting to Know Yellow Green. This entire quilt is really pushing my piecing skills. It seems like everything is on the bias so I’m learning to starch all fabrics on the wrong side before cutting. My favorite is Faultless with the blue cap. No flakes. I learned that trick from Amy Gibson at StitcheryDickoryDock.com Love her! 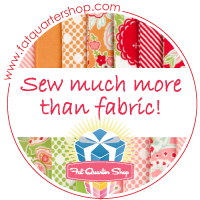 If you pop over to her site, she has a free Paper Piecing cheat sheet she is sharing if you’re interested. When I know I’m going to be cutting bias cuts, I never push the iron over the fabric, rather I place it top to bottom and use plenty of steam. When I turn it over (above) I run the iron over it by barely touching the fabric until all the iron marks are gone. That’s better. As with any pattern, reading it first is key. This month, I nearly made a mistake and cut the fat eighth long-ways instead of side ways. Whew. It was a narrow miss! I love seeing all the neat stacks ready to become something beautiful! I swear by my painter’s tape. The edge is the sewing line and I mark 1/4″ in for making the HSTs (half-square triangles). However, after the first 4 of these, I gave up and went back and drew the actual sewing lines. With all this bias, I wasn’t taking any chances. And a short 6 hours later? Ta-da!! Two pretty good looking blocks if I do say so myself. Please don’t look too closely at my wobbly seams. I’m hoping they won’t show after it’s all together and quilted. Getting those exact points on the bias…what a chore! But I’ll take wonky seams over tipping a triangle any day. Here are the blocks from Jan (blue), Feb (teal), and March (magenta). Here’s what it will look like when it’s finished. What are you working on? Please reply or post a link. I’d love to see!